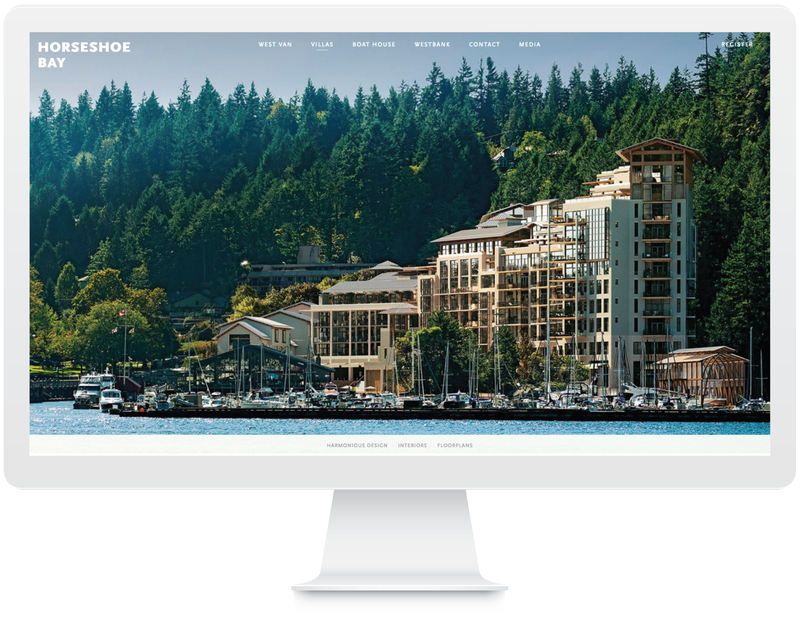 The Residences at Horseshoe Bay are located at the heart of one of the world’s most diverse and inviting landscapes for outdoor recreation. 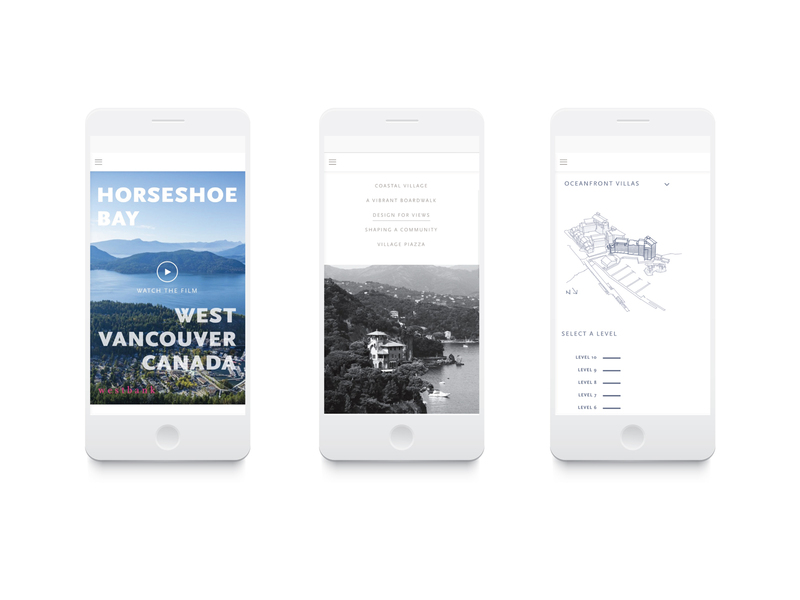 The development will include approximately 158 new residential units and small commercial units, both marine and non-marine related. 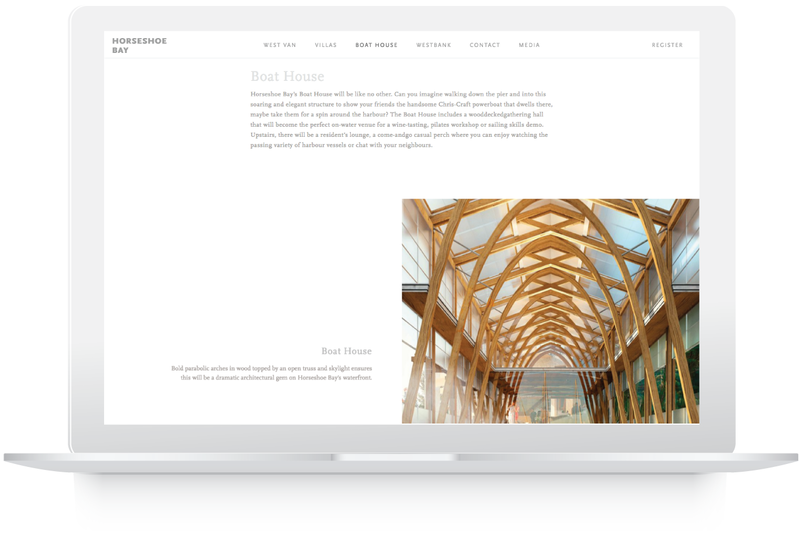 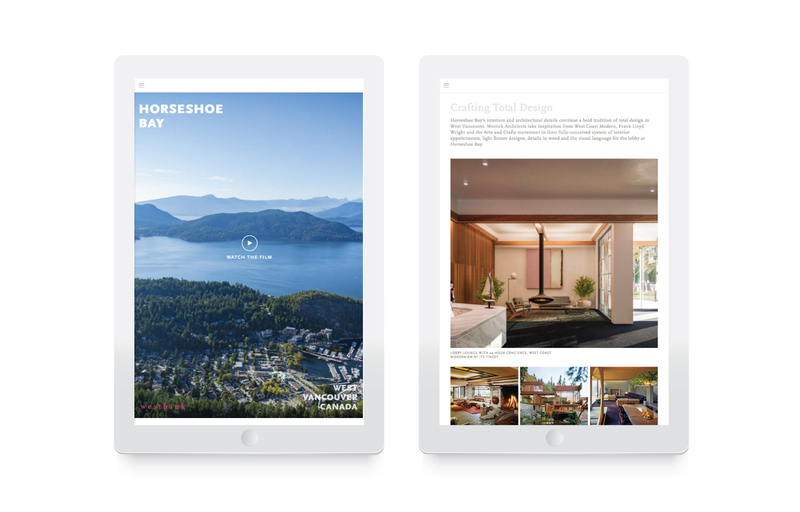 We designed and developed the website to maintain the West Coast Village feel of the Bay and showcase a number of the development’s design features which include six different building styles, including a series of cottage-inspired two-level townhomes that have been massed to respect the topography of the site, a boathouse, and an enhanced public realm.